Your chances of success go up as much as 50% when filing a claim with an experienced disability lawyer at your side. earns top honors for 2018. 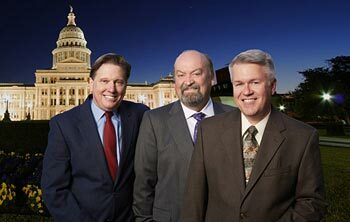 Austin, Texas social security and disability lawyers at The Law Offices of Bemis, Roach & Reed earn AV Ratings amongst other top distinctions. Austin social security and disability lawyers at The Law Offices of Bemis, Roach & Reed were recognized once again as AV Rated attorneys by Martindale-Hubbell. Partner and Austin disability attorney Lonnie Roach earned an AV Preeminent Rating of 5.0 out of 5.0 for his ethical standards and legal ability. Mr. Roach specializes in ERISA and long term disability cases. He is board certified in personal injury trial law by the Texas Board of Legal Specialization. Mr. Roach is the primary appellate lawyer at The Law Offices of Bemis, Roach & Reed and has been selected as a SuperLawyer by Thomson Reuters since 2016. Additionally, he has successfully argued cases before the Texas Court of Appeals, the Texas Supreme Court and the United States Court of Appeals, Fifth Circuit. If you have been denied disability benefits don’t give up! Contact a Disability lawyer at 512-454-4000 for a free consultation and get the benefits you deserve. Partner and Austin disability lawyer Lloyd E. Bemis was also rated AV Preeminent by Martindale-Hubbell. Mr. Bemis is board certified in both personal injury trial law and commercial and consumer law by the Texas Board of Legal Specialization. He focuses his practice on Social Security Disability denials and insurance bad faith claims. He is admitted to practice in all States Courts of Texas and the United States District Court – All Texas districts. Mr. Bemis is a member of the Travis County Bar Association and has been active in the Texas Trial Lawyers Association, the Capital Area Trial Lawyers Association and the American Association for Justice. Additionally, Partner and Austin disability lawyer Greg Reed was rated AV Preeminent and earned a 5.0 out of 5.0 client rating. 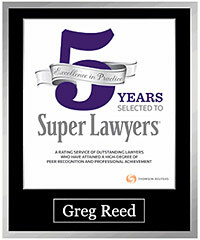 Mr. Reed has also been selected as a Super Lawyer since 2011. Super Lawyers is a rating service of exceptional lawyers from more than 70 practice areas. The Super Lawyers selection process consists of independent research, evaluations and peer reviews. Mr. Reed focuses his practice on representing individuals who have been injured or are otherwise disabled and are forced to seek social security disability support or support through other disability benefits plans. Being disabled is hard. Getting disability shouldn’t be. The attorneys and friendly staff at Bemis, Roach and Reed are here to assist you in any way we can. If you have any questions about your eligibility to receive financial assistance for an accident or illness which prevents you from working please feel free to contact us, we will be happy to answer any questions you have. Hopefully we can help you personally, but if not, we will try to direct you to the best source of assistance that we can. We know how challenging life can be. The Austin social security and disability firm of Bemis, Roach & Reed was established in 1993. The team of experienced Social Security and disability lawyers work aggressively to help clients facing denied insurance benefits, long-term disability, social security and many other serious legal matters. 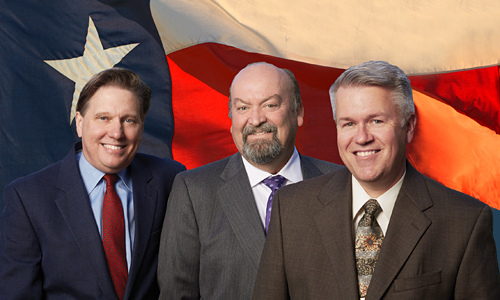 Contact the Austin law firm today for a free initial consultation. Call 512-454-4000 or fill out the online contact form.